Does anyone remember when Jason Garrett was a head coach on the hot seat earlier this season? 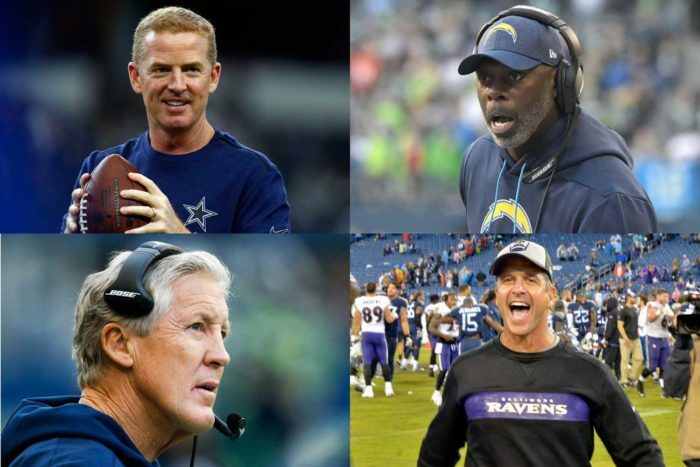 Given the volatile nature of life as an NFL head coach, that seat can heat up again before the season is over – but for now, Garrett is sitting pretty. The Dallas Cowboys are in first place following an impressive win over the New Orleans Saints on Thursday night, and Garrett earned the top Head Coach Ranking grade in Week 13. Garrett graded out at 8.6 in the 13-10 victory over New Orleans, outdueling the coach who still has the No. 1 overall HCR score for the season, the Saints’ Sean Payton. Garrett’s HCR score for the season is 6.9, tied for 17th overall. Week 13 was kind to a few coaches who have been struggling this season: Tampa Bay’s Dirk Koetter earned an 8.0 score, tied for fifth this week, for the Buccaneers’ 24-17 win over Carolina; Pat Shurmur tied for ninth with a score of 7.6 after the New York Giants beat the Bears in overtime. 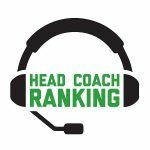 While the top three overall spots in the Head Coach Ranking remain unchanged – Payton, followed by the Rams’ Sean McVay and the Chiefs’ Andy Reid – Cleveland Browns’ interim head coach Gregg Williams dropped from the No. 4 slot. After his 6.0 in Cleveland’s loss to Houston, his overall grade dipped to 7.5 – still tied for seventh overall. • In his final game as head coach of the Green Bay Packers, Mike McCarthy earned a 6.0 for his team’s home loss to the Arizona Cardinals. Within hours after the loss, McCarthy was fired. For the season, he finished with a Head Coach Ranking of 6.8, which is currently tied for 19th among the 32 NFL head coaches. • The highest-ranked coaches from losing teams in Week 13 were Chicago’s Matt Nagy and Oakland’s Jon Gruden. Nagy earned a 7.4 for the Bears’ fourth-quarter comeback and overtime loss to the Giants; Gruden’s 7.4 came courtesy of a close loss to the heavily favored Chiefs. The 7.4 dropped Nagy’s overall grade slightly, but he’s still tied for fifth overall in the Head Coach Ranking – easily the top-ranked first-year head coach. • Two coaches earned a perfect 10 for individual factors. Garrett earned a 10 for the Game Plan he implemented in Dallas’ win over the Saints; Mike Vrabel earned a perfect 10 for Clock Management in the Tennessee Titans comeback win over the Jets.